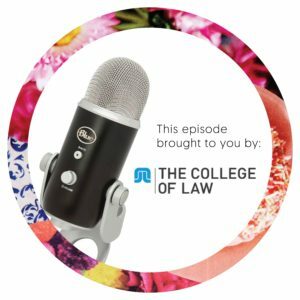 My guest in this week’s episode of The Happy Lawyer Happy Life podcast is a Brisbane Silk who’s experienced some extraordinarily difficult decisions in his career, and has had to stand by them. Stephen Keim came into the public eye when he represented Mohamed Haneef in 2007, and for a period he was a regular figure in the media. From there, he went on to be named ‘The Australian’s, Australian of the Year’ in 2007, and in 2009 he was awarded a Human Rights Medal by the Australian Human Rights Commission. But that’s just one instance of courage in his long and brilliant career. Stephen is someone who strongly believes in following the right direction and making a positive impact. In my conversation with him, he shared his story and offered plenty of inspirational advice for lawyers at all stages of their careers.